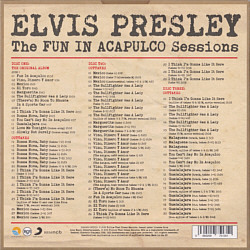 Annoucement: This is the ultimate FUN IN ACAPULCO 3-CD set: includes more than an hour of previously unreleased false starts, break downs, and complete takes! 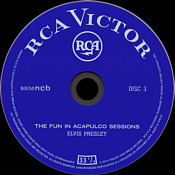 All tracks have been recently remixed and mastered from the original 3-track session tapes. 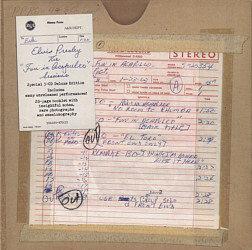 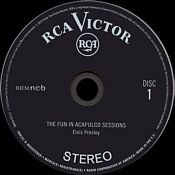 The slipcase replicates RCA Victor's vault-stored session reel box. 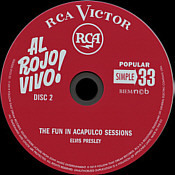 The 28-page booklet includes rare photographs, memorabilia, session data, Movie Trivia and an updated overview of the movie by Alan Hanson. 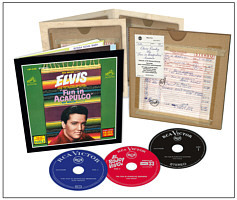 The 3-CDs are housed in a CD carrier adorned by original tape box documentation.